The Robertson Cheese Factory offers a unique experience each time you walk through the Old Cheese Factory doors exposing breathtaking rural views.We strive to provide outstanding customer service and offer an extensive range of products, including; local, Australian and International cheeses, fresh local produce, gourmet goods and seasonal jams, relishes and pickles, crafted by our talented Chefs. 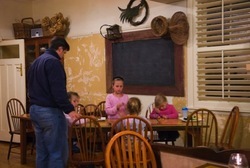 Our café offers sumptuous meals and fabulous coffee. Indulgent gelato and sorbets are made on site and lollies and sweet treats abound, inviting you to encourage the child within! 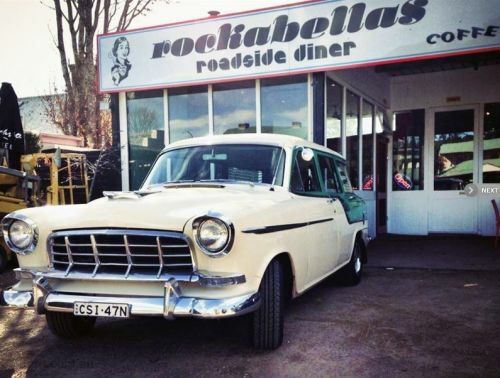 If you are journeying through the Southern Highlands and looking for an awesome place to dine, Rockabellas Roadside Diner is the perfect pit stop.We are a newly opened cafe and restaurant in Robertson known for excellent food and a warm and friendly ambience. You will be delighted by our funky, retro interior, featuring vibrant walls and classic, vintage pieces reminiscent of the fifties. We also provide great music to enjoy while savouring our delicious food prepared by our skilled and experienced chef.We serve breakfast, lunch and dinner. Our extensive menu includes delicious Tex-Mex dishes and luscious desserts that will surely satisfy all kinds of appetites. To complement your meal, we offer a wide range of local wines and ciders, specialty beers and cocktails. We also have great-tasting coffee, a perfect pairing to our decadent cakes and homemade pastries.Our restaurant is available for dine in and takeaway. We take pride in our friendly and honest staff who are all dedicated to giving each customer one-of-a-kind service. Aside from providing an excellent dining experience, we sell quality vintage wares. Drop by Rockabellas Roadside Diner today.